The news is shattering: The director of the CIA, Harrison Sinclair, has been killed in a car accident. Sinclair may have been a traitor—or the Agency’s last honest man. Even his son-in-law, Ben Ellison, an attorney and ex-agent, has heard rumors of sinister forces within the Agency that could have ordered Sinclair’s assassination. Soon he is thrust into a web of intrigue and violence beyond his control back into the CIA, and lured into a top-secret espionage project in telepathic ability funded by American intelligence. "Dazzling . . . Precise, crackling, tonally perfect prose." "Spectacular novel of international intrigue and teeth-grinding suspense. . . Superbly crafted and acutely honed . . . A fresh, engrossingly sassy saga of subterfuge with whiplash-provoking pacing . . . Keeps readers perpetually on the edge of their seats . . . A labyrinth of twists and turns to satisfy the most jaded thriller fan . . . A grand-slam finale orchestrated at fever pitch . . .The action is unrelenting . . . electrifying.. . . certain to be the book everyone will be talking about, and could well be considered a paradigm for the future of the espionage novel." "A whiz of a yarn . . . Finder's pacing, wit and style make this thriller a standout." "Spellbinding... 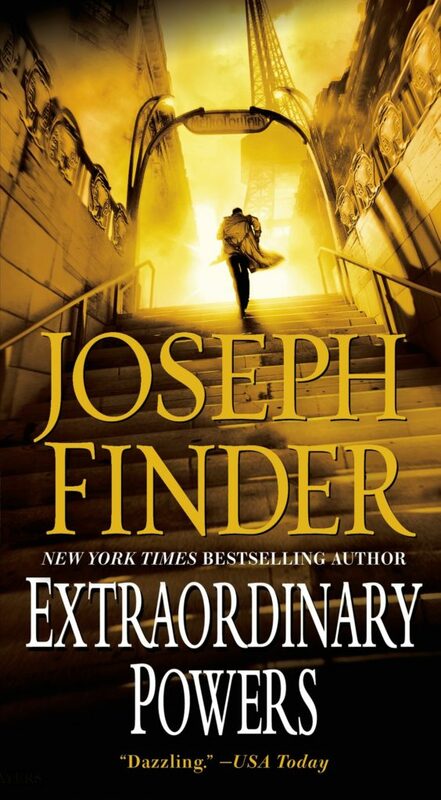 Fans of Robert Ludlum will love Finder." The story begins, appropriately enough, at a funeral. The coffin of an old man is being lowered into the ground. The mourners surrounding the grave site are as somber as any funeral-goers, but they are conspicuously well dressed, radiating power and wealth. It is an odd sight: on this gray, drizzling, cold March morning, in a small rural cemetery in Columbia County in upstate New York, you can see United States senators, Supreme Court justices, the various scions of the New York and Washington power establishments, picking up wet clods of soil and flinging them atop the coffin. They are surrounded by black limousines, BMWs, Mercedeses, Jaguars, and the assorted other vehicles of the rich, powerful, and elect. Most of them have come a long distance to pay their respects; the graveyard is miles from anywhere. I was there, of course, but not because I am famous, great, powerful, or elect. I was at the time merely an attorney in Boston-for Putnam & Stearns, a very good firm, and earning a respectable salary-and I felt distinctly out of place among the luminaries. I was, however, the deceased’s son-in-law.